On the occasion of International Yoga Day, Kiev Check-in arranged an interview with H.E. Manoj K. Bharti – Ambassador of India to Ukraine since September 2015. 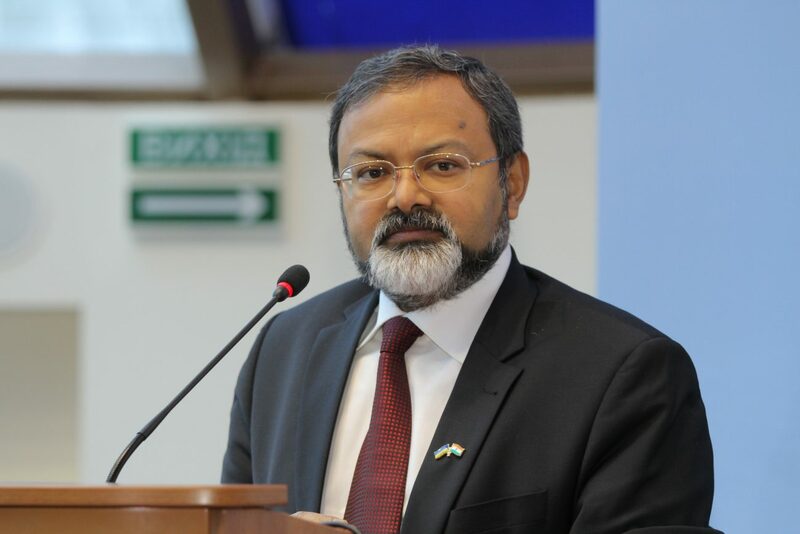 Prior to arriving in Ukraine, he served as India’s Ambassador to Belarus, worked at the Indian Embassies in Tehran, the Hague, Kathmandu, Ankara and Yangon. The ambassador was a charming and informative interviewee, telling us about the growing popularity of yoga worldwide, the development of the India-Ukraine relationship, the benefits of visa simplification and new travel opportunities, and much more. H.E. Manoj K. Bharti, thank you for taking the time to talk with Kiev Check-in magazine. First, can you share with us your initial reactions and impressions from when you were appointed Ambassador to Ukraine? I came to Ukraine from Belarus and already knew a great deal about your country. Then when I took on my role here and saw everything with my own eyes, I found Ukraine far more beautiful than I’d imagined. To begin with, the attitude of Ukrainians towards India and its people is exceptionally friendly. The Ukrainian people are genuinely interested in Indian culture and philosophy. I’ve also discovered that Ukraine really is the food basket of Europe. In terms of territory, it’s the largest European country and forty million highly educated people live here. So I was very happy and enthusiastic about working here as Ambassador of India. This interview coincides with International Yoga Day on June 21, 2017. For the past few years the Indian government has been very active in organizing promotional activities worldwide in honor of Yoga Day. Is the Indian Embassy in Ukraine planning any special activities to mark the occasion this year? In September 2014, the Indian government tabled a resolution at the United Nations to mark 21 June every year as the International Day of Yoga (IDY). Much to our surprise, the proposal was supported by 177 countries, a UN record. By December 2014, the UN had passed this resolution unanimously. The very short time between tabling the resolution and its passing was another UN record. Since then, IDY has been observed in almost every country in the world, mostly supported by Indian embassies in global capitals. The scale of the celebration increases year on year. This year will be the 3rd IDY, and it goes from strength to strength. In Kiev, a Yoga Marathon is planned for 18 June at Khreshchatyk. We intend to set a new record: 10,000 people all doing yoga together. The event starts at 8 a.m. with a formal inauguration, then a 50 minute yoga session will be followed by a short Indian cultural performance. On 21 June a yoga fair, the Yoga Mela, will be held at Mariyinsky Park between 4 and 9 p.m.. Stalls for various yoga groups, along with others promoting a range of Indian customs and traditions such as Ayurveda, vegetarian food, Henna painting and other enticing activities will be set up and a folk dance performance from a visiting Indian troupe and other cultural performances will take place at the outdoor Rakushka summer stage. How is yoga connected with India, and what are the benefits it offers for the overall well-being of an individual? What’s your favorite yoga exercise? Yoga is deeply connected to ancient Indian philosophy and culture. One of the main pillars of Indian philosophy is the practice of meditation, to attain the spiritual growth of the human soul. Yoga is a way of preparing both the body and the mind to achieve a deep state of meditation. The word “Yoga” is Sanskrit for “combining”. Yoga combines the physical aspect of the body with the mental element of the mind. There’s a famous proverb in Sanskrit, योगश्चित्तवृत्तिनिरोधः “yoga chitta vritti nirodha” which means that the purpose of yoga is to control a wandering mind. If the mind is focused and the body toned up through exercises (asanas), people experience peace, harmony and a total sense of well-being. Illness is reduced and can be self-corrected through yoga practice. I’d emphasise that prevalent notions of yoga as just a form of exercise are completely misleading. Whatever form of yoga is practiced, unless there’s an element of complete mental focus, the practice is not really yoga. My favourite aspect of yoga is a breathing exercise,“Pranayam”. ow close is the business and cultural relationship between Ukraine and India? The relationship between India and Ukraine has been developing for a long time. There’s deep understanding of India, Indian culture and its traditions in Ukraine. Since independence from the former USSR our ties have become even closer. hat initiatives exist to promote trade between Ukraine and India? How is the Indian Embassy promoting trade and investment between our countries? As well as long-established connections in defence-related industries, there are new niche areas under discussion with the Ukraine government to enhance our economic and trade relationship. These include exporting pulses from Ukraine to India. India imports around $2 billion worth of pulses every year and Ukraine could supply much of this. And taking advantage of the excellent educational facilities in Ukraine by bringing in Indian students has already begun. There are almost 8,000 Indian students studying here, generating more than $40 million for the Ukrainian economy. This could increase to $150 million if improvements can be made to attract the best students, by offering them a high quality education and comfortable accommodation at Ukrainian universities. Corruption-free administration is also vital. The Indian Embassy is working with the government of Ukraine to promote Indian tourism. Extending the Visa on Arrival facility to Indian nationals is a welcome step and should result very soon in an influx of Indian visitors, contributing $30 million to Ukraine’s tourism industry. hat opportunities exist for Ukrainian businesses wanting to explore the Indian market? Do you have any tips for Indian businesses interested in Ukraine? Some new spheres of economic cooperation between our countries have already started since 2016. Blood products produced in Ukraine have a great potential market in India. The Ukrainian company Biopharma has visited India to discuss this and are enthused by the demand for their products in India. I’ve already mentioned the export of pulses from Ukraine to India. Pharmaceuticals are of immense potential for export from India to Ukraine. In 2016, Indian pharmaceutical products worth USD 135 million were imported to Ukraine from India. But there’s a need to increase this significantly. Importing pharmaceutical products from India is a huge advantage for the Ukrainian budget, because for every $100 of pharmaceutical products imported from India, Ukraine saves around $300 on the cost of similar products from Europe or America. There’s a need to streamline procedures to facilitate the import of high quality, certified pharmaceutical products from India to Ukraine. hat’s the current state of cultural, educational, and tourism ties between the two countries? What growth do you predict in this area in the coming years? Are there any special initiatives to strengthen these links? There’s huge interaction between Indian people and Ukraine. More than 20,000 Ukrainian tourists visit India every year and are highly aware of Indian culture and traditions. This is clear from the large number of yoga classes taking place in many cities here. Schools are now teaching Indian classical, folk and modern dance classes. Recently an Indian dance festival was organized in Kiev, with around 350 artists and children participating. The government of India offers 25 ITEC scholarships for professional Ukrainians in 65 different areas, including English language, IT training, audit and finance, and leadership training. Details of these courses and application forms can be found on the Indian Embassy’s website: embassyofindiaukraine.in. The Indian government also provides annual scholarships for learning Indian classical dance, music, Ayurveda and Hindi. Information about all these initiatives can be accessed on the website. ow can Ukraine attract more tourists from India? The most important requirement has already been met, now that Indian nationals are allowed to visit Ukraine using the Visa on Arrival facility. The next step to attract more Indian tourists is to promote the shooting of Indian films here. Once the country is seen on film, huge numbers of Indians will want to come to this extraordinary land to see it for themselves. The Embassy of India is constantly working to promote Ukraine as an ideal destination for film shoots. One Indian film has already been shot in Lviv and Kiev, in November and December 2016, and six new projects are in the pipeline. The Ukraine government could take further innovative steps to lure Indian film producers here, such as concessional tariffs and easier permission processes. ell us about your favorite place in Kiev. What do you like most and least in the city? Kiev is a stunning city, so there are many places to enjoy. The Botanical Gardens in spring is a particularly wonderful sight. The vast expanse of the Open-Air Museum of National Architecture, Pyrogovo, is another favorite of mine. I love the views from the footbridge over the Dnipro River, the Friendship Arch, the Mother Ukraine Statue, Trukhaniv Island and Kiev Pechersk Lavra. There are countless other places I could choose as my favorite. What I don’t like so much in Kiev is city walls covered in mindless graffiti. o you have a special message for the Indian community in Ukraine? Though the Indian community here is small, they play a very important role in spreading the message about Indian customs and traditions. I congratulate the Indian community for being responsible citizens in Ukraine and encourage them to play an even more prominent part in spreading the message about India. All this could be summed up by a well-known Sanskrit proverb, “वसुधैव कुटुम्बकम्” . 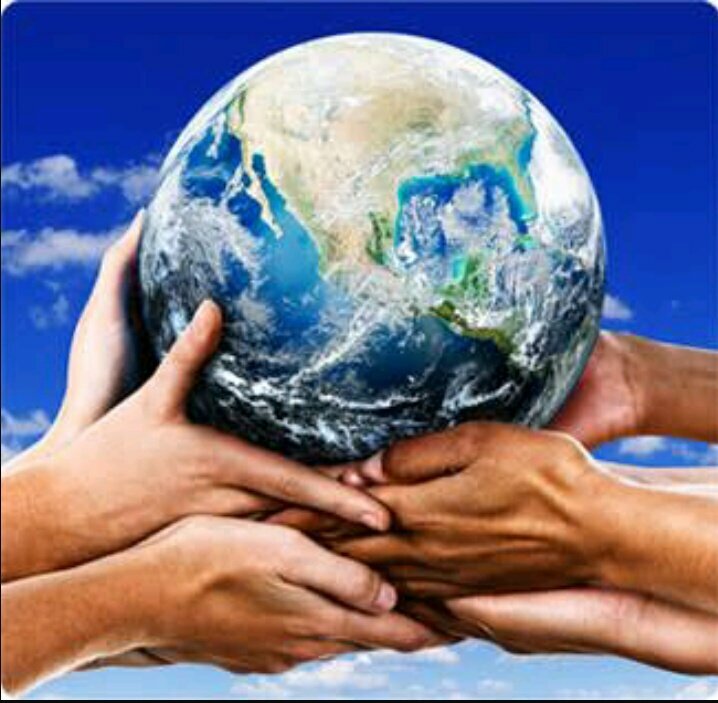 It means “the entire world is one family”.